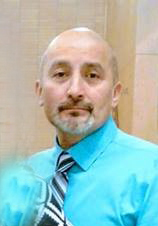 HAWARDEN, IOWA – Ricardo A. Rodriguez, 49, of Hawarden, died Monday, April 8, 2019 at Mercyone in Sioux City, Iowa. Mass of Christian Burial will be 10:30 a.m. Friday, April 12, 2019 at the St. Mary’s Catholic Church in Hawarden with Father Paul Bormann celebrating the mass. Burial will follow in the Grace Hill Cemetery. A Prayer Service will be 7:00 p.m. Thursday at St. Mary’s Catholic Church with Deacon Richard Port officiating. The Porter Funeral Home in Hawarden is assisting the family. Condolences may be sent to www.porterfuneralhomes.com. Ricardo A. Rodriguez was born December 11, 1969 in Toluca, Mexico, the son of Juan Rafael Rodriguez and Maria Delgado. He attended school at Melchor Ocampo in El Oro Town. Ricardo moved to Hawarden, Iowa in 2002. He enjoyed attending West Sioux sporting events, especially the sports his children participated in, including football, soccer, and wrestling. His passion for soccer started at a young age and continued throughout his life, and with that passion, he was a driving force in building up the youth soccer programs. His favorite soccer team was The Diablos from Toluca, Mexico. Ricardo was always willing to help anyone that was in need of help, no matter how big or small. Also, he loved to help out at St. Mary’s Catholic Church in Hawarden where he and his family attended. He enjoyed playing, coaching, and watching soccer, cooking, and spending time with his family. Ricardo was a devoted father who pushed and guided his children to become the very best versions of themselves. He was also a devoted husband who cherished his wife every day. Ricardo was a mentor to all of his family, including his nieces and nephews. Ricardo is survived by his mother; wife, Arminda; children, Carolina 27, Ricardo 22, Teresa 21, Jose 17, Ruben 12, and Jesus 7; and his siblings, Carolina, Juan, Guillermo, Nelly, Isela, Sonia, and Martha Laura.